There’s a truism in politics that if you’re explaining, you’re losing. In the case of the federal government’s carbon-tax changes, it’s actually true. On Wednesday, Environment Department officials briefed reporters on revised standards for large greenhouse-gas emitters that raise the threshold for taxing emissions, while noting the marginal cost for each tonne will not change and insisting the government had always planned to readjust the standards to account for trade exposure. Ms. Mulroney’s case sure seems a lot clearer – even if the irony is that the federal government’s planned changes are aimed at easing the impact on the economy. The federal government took a highly sensitive, highly political, high-stakes policy initiative and fell asleep, letting changes to the policy slip out in technocratic fashion without explanation. Environment Minister Catherine McKenna was forced to go on TV to argue the government is still lowering emissions but in a “smart” way. Environment Minister Catherine McKenna. (File Photo). But she was already getting blasted on both sides – by environmentalists complaining she was watering down the carbon-pricing scheme, and carbon-tax critics such as Ms. Mulroney who argued the fact the rules were being eased for industries that face competition proves carbon pricing threatens Canadian businesses. Both allegations are a smidge true, but not in any kind of shocking, revelatory way. Yet the whole business became a political football because Ms. McKenna’s team fumbled it. It’s complicated enough that it wasn’t possible to “clarify.” One TV reporter drew lines on a bar graph to try to explain it. Ms. McKenna’s belated explanation was lost in the fog. It revolves around the special federal carbon-tax scheme for some large emitters – basically heavy industry. Those rules won’t even apply in provinces that have their own carbon-tax schemes, such as Quebec, Alberta and B.C., but they will be foisted upon opponents such as Scott Moe’s Saskatchewan, and now, Doug Ford’s Ontario. So it’s politically touchy. The revised federal guidelines posted on a government website late last week essentially say that a smaller proportion of emissions from heavy industry will be taxed. 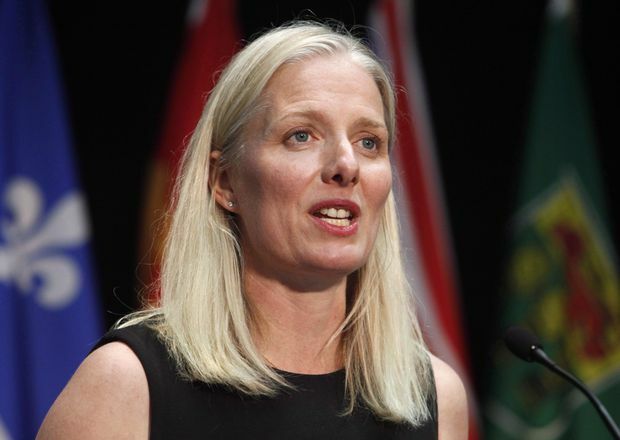 In January, Ottawa proposed that emissions over 70 per cent of the industry average would be taxed. Now, it is proposing companies pay on emissions over 80 per cent of the industry average. What does that mean? Well, it’s complicated. But because the changes drifted out quietly, Ms. McKenna wasn’t able to interpret it first. The government seemed to be sneaking out changes that caved to industry pressure, or reacted to Donald Trump’s trade war or Mr. Ford’s scrapping of Ontario’s cap-and-trade system. There’s a bit of truth in all of that. But it’s not a massive change, either. It does mean heavy-industry emitters will pay less. It was done to protect those industries and their jobs from competition – including from the United States, where Mr. Trump cut corporate taxes and hit Canadian steel with tariffs. But that’s not a new admission that carbon prices could have an impact on Canadian competitiveness – it’s a decision to do more to mitigate it. McGill University economist Chris Ragan, chair of Canada’s Ecofiscal Commission, noted the goal is to reduce emissions, but not by shutting plants in Canada. In theory, about 5 per cent of the economy would see its competitiveness threatened by carbon taxes, according to the commission. That’s why those heavy industries were always going to pay the carbon tax on only a portion of their emissions. Now it will be a smaller portion. The price on carbon will still be the same – $20 a tonne, rising to $50 in 2022. So there will still be a similar incentive to reduce emissions. The change eases the impact on industrial competitiveness slightly and will reduce the impact on emissions slightly, Mr. Ragan said. In other words, it’s a small change, not an “aha!” moment. But Ms. McKenna made a classic mistake in politics – letting a complicated change to a highly sensitive policy slip out in confusion, without first letting everyone know it was coming and what it means.